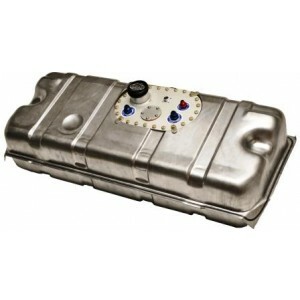 Fuel Safe's Corvette Pro Cell bladder is designed to fit perfectly into your factory tank. Stock mounting hardware is used to simplify re-installation. The cell comes complete with an FIA-FT3 approved Pro Cell bladder and an SF6X10E fill plate that includes a -8 pickup, a -8 vent with rollover protection and a -8 return fitting. A sending unit can be added to the cell to provide fuel level information to the driver. *PLEASE NOTE: This cell requires that you send in your factory can for bladder installation.